Experience the extraordinary land of Antarctica aboard the amazing Ocean Nova. You'll witness jaw dropping scenery, incredible wildlife, glaciers as well as visits to historic sites that will definitely tick off all your boxes. This outstanding vessel will ensure your landing on Antarctica is an experience you'll never forget! The Ocean Nova is a small expedition vessel operating in Antarctica where you can reach remote areas on this ship unlike that of larger ships. Intimate group of no more than 68 people, personalised & accurate service due to high passenger-staff ratio. 4-star boutique discovery journey: allows for an active voyage with rich daily activities such as landings, zodiac cruising and lectures. All-inclusive package: Ship cruise with expedition program, activities on-board and ashore. Learn about early explorers and visit modern scientific research stations. Optional activities of kayaking and snowshoeing offered at an additional cost. Make your way to the pier in time for your cruise departure. Your Antarctica journey begins this afternoon as you board the Ocean Nova and sail along the Beagle Channel towards Puerto Williams, Chile, the southernmost town in the world. 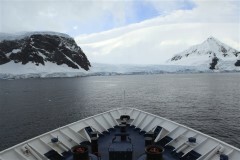 Explore the surroundings before setting sail to Antarctica. Sail towards Antarctica across the famous passage named in honour of Sir Francis Drake, the great 16th century British explorer. 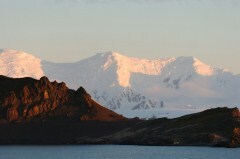 As you sail on route to South Shetland Islands, attend an engaging program of lectures and presentations. In the company of expert guides, watch for wildlife from the glass-enclosed lounge or from the outside decks. You may spot magnificent sea birds such as the albatross and petrels as well as different species of whales on their way south to Antarctica. After crossing the Antarctic Convergence, the environment changes noticeably. 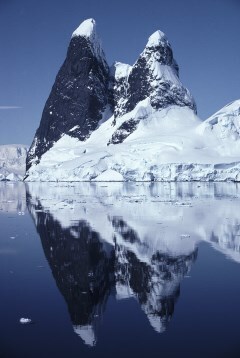 Keep your camera ready, as this is the time to watch for the first icebergs and first sight of Antarctic land. The program ends upon arrival at the port in Ushuaia. Nicole Knapp booked our flights to Melbourne - easy and quick. She also booked and organised a conference trip to Bali which did not eventuate due to the volcanic activity this year. Throughout the decision-making hours (to go or not to go) Nicole was amazing and kept us totally informed as well as giving sound advice. She was able to broker the airline credit and insurance then re-book to a different destination for early next year. We would not use anyone else. Prices are per person (pp) in NZD, twin share based on lead in season. All care is taken to promote correct pricing at time of publication but is dependent upon availability and will be confirmed at time of reservation. Valid for sale until sold out. Airfares not included unless specified. Offers are subject to availability and can change without notification due to fluctuations in charges and currency. Credit card surcharges apply. For full terms and conditions please contact a World Travellers consultant.